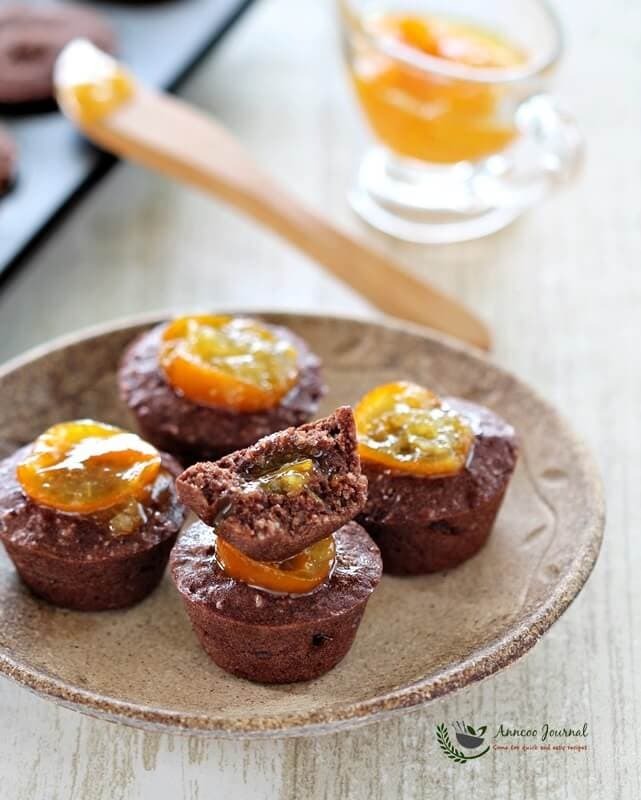 These chocolate friands are very flavorful with almond meal, cocoa powder and orange zest. 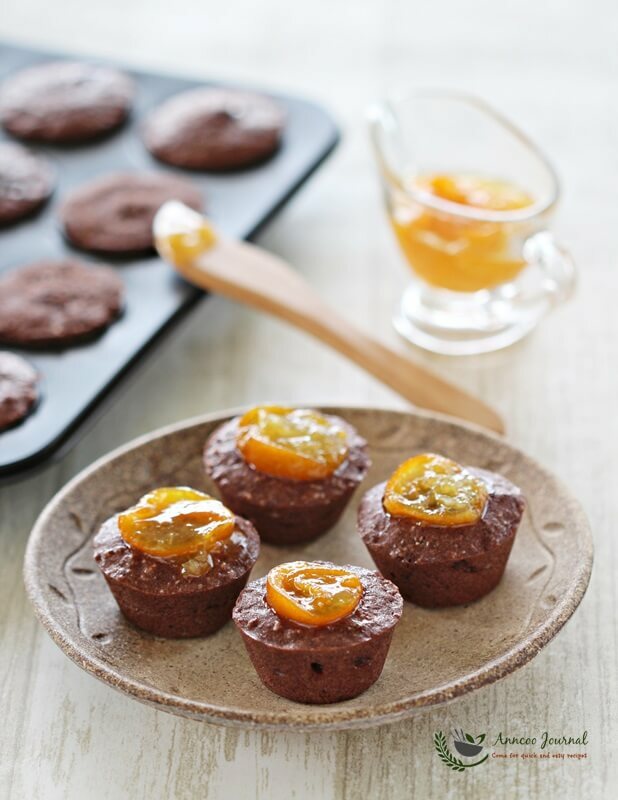 The addition of kumquat marmalade in the middle did indeed help to enhance the flavour of the chocolate friand. I kept the leftover friands in an airtight container, overnight in room temperature and they even tasted better the next day. Preheat oven to 180 deg C. Grease 2 mini muffin pan well with butter. Sift flour, cocoa powder and icing sugar into a large bowl. Add almond meal and orange zest into it. Stirring well until just combined. Lightly whisk egg whites and pour into dry ingredients, followed by melted butter. Stir until well combined. Divide chocolate mixture half full into prepared pans. Add about a teaspoon of kumquat marmalade, then top up with chocolate mixture just about full. Bake for about 15 minutes. 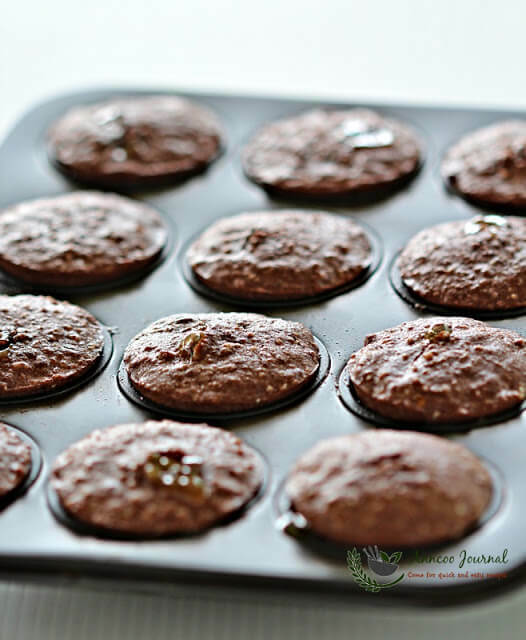 Remove from oven and leave friands in pan for 5 minutes, then turn out onto a wire rack to cool. 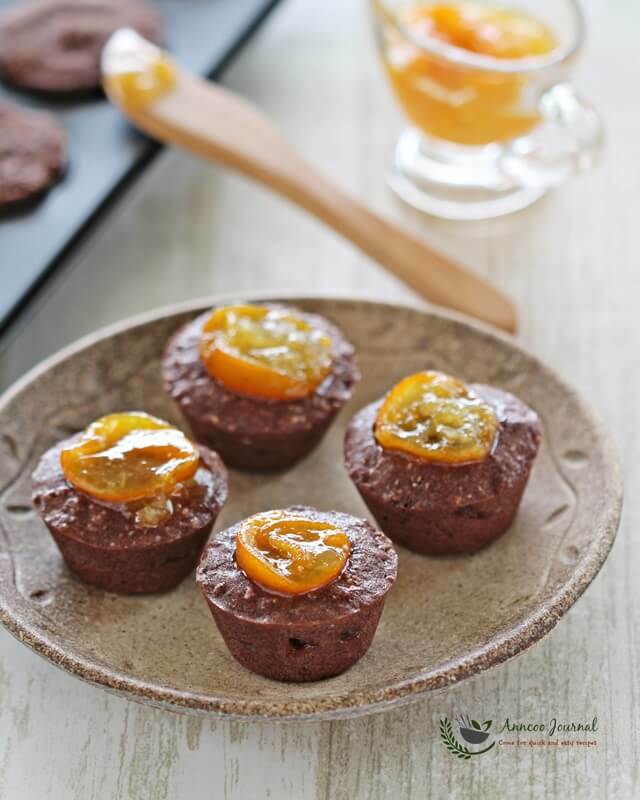 Ann, your little kumquat chocolate friands are irresistible! Chocolate and kumquat taste great together. 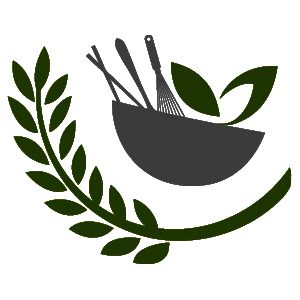 Pretty and delicious as always, Ann. I really love the combo of kumquat and chocolate.